The need for a bridge at Penybont was first discussed in 1889, there was a level crossing connecting the New Bridgend Hotel on Victor Road and the Old Bridgend Inn at Old Penybont Road, though as the railway traffic was increasing in the Cwmtillery valley this crossing was becoming extremely dangerous. Pressure was put on the local board to construct a bridge. In the late 1890’s the council were informed that the Powell’s Tillery Company would pay one third (up to £1,000) towards the cost of a bridge, the company would be in shares with the council and the Great Western Railway, though plans were put on hold. In 1906 the council convened a meeting with the intention of re-starting the negotiations of erecting a bridge and made contact with the Powell’s Company with the hope they would again have interest to fund the project. It was yet again put on hold. In June 1911 the Cwmtillery Ward Council meeting were told the bridge was again needed to be pushed to the top of the priority list and the Powell’s Tillery Company said the money they had offered was still available and the landowners were contacted. 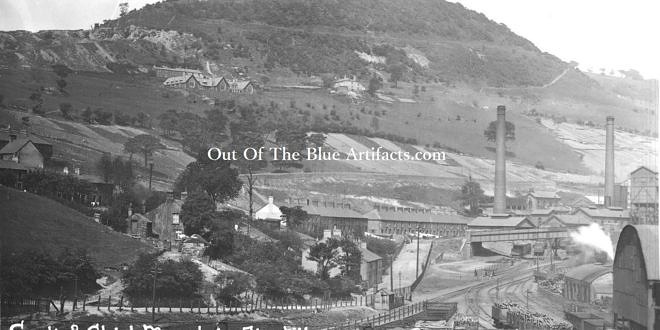 The Nantyglo & Blaina Co owned the land on the Penybont Road side and Messrs Arthur K. and Percy K. Stothert of Bath owned the land upon Victor Road, the other side of the bridge. The negotiations between all the interested parties took so long it was put on hold yet again. In 1913 the council got the go ahead and an enquiry was set up to sort out the budget for the costs and expenses. They estimated the final costs at approximately £5,733. the council borrowed £3,237. The Powell Tillery Co donated £1,000. and the G.W.R gave £1,476. towards the costs of a bridge. In June 1914 tenders were put out for the contract and that of Mr H. A. S. Fraser of Whitchurch, Cardiff was accepted at £2,997. 17s. 0d. The bridge and abutments were constructed and completed before August 1915. 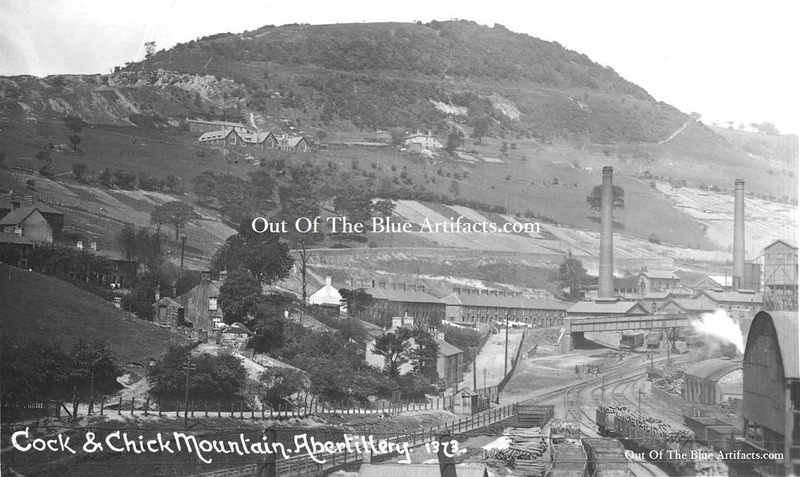 Points of interest – In the background of the main image is the large complex of the Penybont Coke Works and to the right of the image are the outbuildings of the Penybont Colliery. Through the middle are the colliery sidings, the coal trains from Cwmtillery Colliery further up the valley would travel through these sidings. In a report from February 1889 when the council did a survey on the rail traffic in this valley and the need for a Foundry Bridge further South, over 21 trains per day were monitored going up and down this Cwmtillery branch line and that was when the first reports were drawn up for a bridge over Penybont. Mr Lawrence Heyworth spoke on behalf of the company and said “They, the company had wanted to venture out into building schools in the area but the costs put them off”, he went on to say “Though they still had the welfare of the valley foremost in their minds”. Mr J. W. Walters spoke and said “As a means of encouraging regular attendance of children at the school he would offer 5 guineas to be given out as prizes for those boys and girls who attended with the greatest regularity”. The Rev Howell Howells spoke to contradict a notion that the church was against these schools and said “He welcomed it, although hoped that the board would not build more than was needed”. The party then left and walked to the Clyn Mawr Hotel for lunch where Mr Lawrence Heyworth took the chair. To the left of the school can be seen the quarry from which the stone was acquired to construct the school and also the Blaenau Gwent Rows just a few years previously. The tramway from this quarry went down into the rows through where number 3 and number 4 Attlee Avenue is today and down the hill past the rows where the garages are today. Also in the centre of the image are the houses of Bryn Morgan Terrace and on down towards the foreground to the left are the small row of houses on Old Penybont Road (on some reports also called Railway Terrace) this row includes the Britannia Inn (the Old Maids) and two houses away on the end is the Old Bridgend Inn. The hotel and the inn were called Bridgend long before the bridge was constructed, the both public houses were named after the small stone bridge that spanned the Tillery Brook at this point before the colliery was sunk. All this area is now below ground under Henley’s Bus Depot as the valley was filled in during the early 1970’s in the big land reclamation scheme, the biggest of its kind in Europe at the time.